Tax planning is an extremely important component to every financial plan. We need to have a working knowledge of the income or estate tax issues and how they affect your plan. When creating your individual plan, we take into consideration the tax implications of individual, investment, and/or business decisions with the goal of minimizing tax liability. Use strategies such as 1031 exchange, mutual fund taxation, tax-deferred investing and many more to help protect your plan for excess taxation. You may incur federal and possibly state taxes when you give away wealth during life or at death. 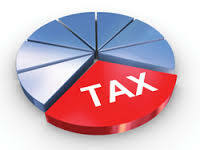 These taxes include, gift, estate, income and inheritance taxes. We help you understand what this means and include strategies that will minimize their impact on your estate. Tax issues are never far from the mind of the business owner. It starts with the formation of your business and continues through the sale. Your choice of business entitity, how you pay out profits to the owners, and your accounting decisions will all have an effect on your tax liability. Commonwealth does not provide legal or tax advice. Please consult with a legal or tax professional regarding your individual situation.